Battery: One rechargeable 18650 Li-ion battery (included) or two CR123A batteries. 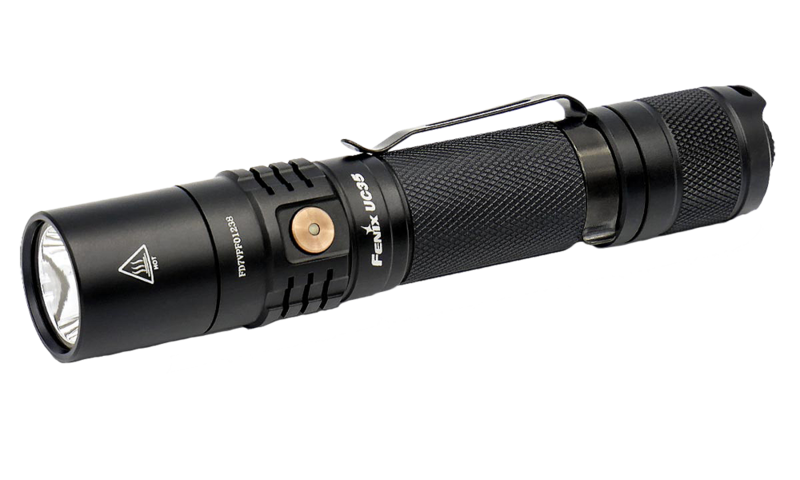 NOTE: The light will not work with flat-top 18650s. 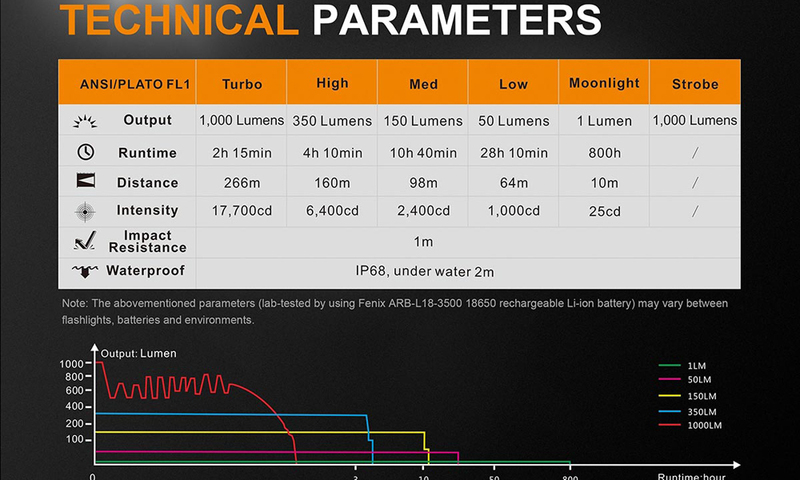 We recommend any of the ARB-L18 series from Fenix for backup or replacement. Included: ARB-L18-3500 Li-ion battery, Micro-USB charging cable, body clip, spare rubber switch boot, lanyard, holster, two spare O-rings.